Colostrum-C | iiaa Ltd | The UK and Ireland distributor of Environ Skincare, jane iredale makeup and Advanced Nutrition Programme. 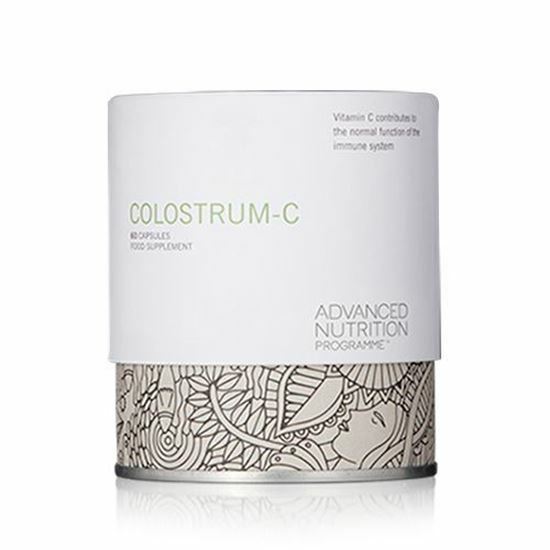 Colostrum-C is the latest addition to our Wellbeing Range. With added vitamin C, take 1-2 capsules a day to support your immunity and give protection against infection withÂ IgG antibodiesÂ (immunoglobulin G antibody). INGREDIENTS: Colostrum (bovine, milk), bulking agent: cellulose, hydroxypropylmethylcellulose (capsule shell), vitamin C (as ascorbic acid), anti-caking agent: silicon dioxide. Keep out of the reach and sight of children. Do not exceed stated dosage. Store below 25⁰C in a dry place away from direct sunlight and heat.]. Take 1 to 2 capsules per day before food, or as your health professional advises. Warnings: Not suitable if you are lactose intolerant. Does Not Contain: Sugar, salt, yeast, soya, artificial colourings or flavourings. No wheat or gluten-containing ingredients.